It is such a charming dream for every homeowner to have a healthy atmosphere around especially if he has kids. Do you ever think about having home plants? You may wonder that plants are for the garden and outdoor area! You are completely mistaken and need to be updated with the latest news in the home decor world. 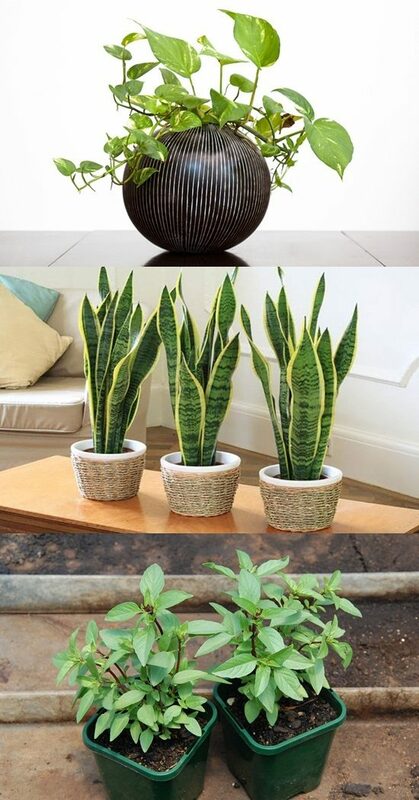 Plants are useful for also the indoor area to purify the living space. So we are going to talk in this article why it is recommended to get indoor plants. Besides the plants are so great for keeping your living space healthy and serene, they are also ideal for decorating purpose by its amazing colors and wonderful form and shapes. You should keep in mind that there are different types of plants with various sizes and shapes. So before choosing the indoor plants that your dream of, you need to take a look online or even in magazines to know more about the variety of indoor plants and decide what suit your needs and taste. The indoor plants keep the living ambience where you put it fresh and serene as they have the ability to purify the air from the unhealthy odors and harmful chemical elements like Formaldehyde, Benzene, and Carbon Monoxide. These chemical elements are found a lot in every home because they are produced of the materials used inside every house as examples, from the wooden items or the cleaning house elements. These chemicals could cause danger effects on our kids’ health so it is our duty to keep them safe by balancing this matter by adding indoor plants to purify the air. There is a variety of natural plants that you can grow then at home like cactus, palms, ferns and even hanging plants or trees beside the natural flower that add a life and decoration inside every house. When having these indoor plants and flower you will have an attractive, healthy and decorative atmosphere inside. Remember, at last, to take a good care of them to get the benefits and look you desire. What is 5 * 6?